Spring is officially here, Chicago! What is your favorite Chicago summer activity? Why not try something new this year! Take a chance this season on an excellent investment opportunity. 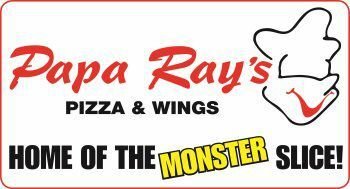 Investing in a Papa Ray's Pizza and Wings franchise store can be the perfect fit for anyone. You can count on having a strong return on your investment in no time and you'll get all the needed support to ensure success. Our product at this Chicagoland pizzeria is unbeatable and the best pizza place in Logan Square. Don't wait on this opportunity, Chicagoans!